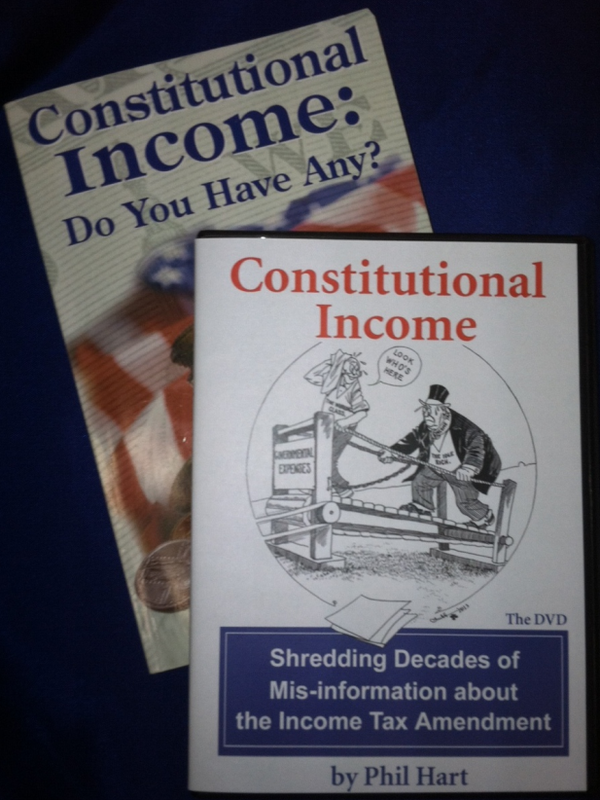 Order Now - Constitutional Income: Do You Have Any? Constitutional Income: Do You Have Any? is the only exhaustive work examining the intent and the constitutional underpinnings of the Sixteenth Amendment. Author Phil Hart researched the relevant literature at the time the amendment was drafted, debated and purportedly ratified. Contained in this book is an analysis of constitutional taxation and the effect of the Sixteenth Amendment. Constitutional Income: Do You Have Any? resolves the constitutional confusion that surrounds our current income tax system. 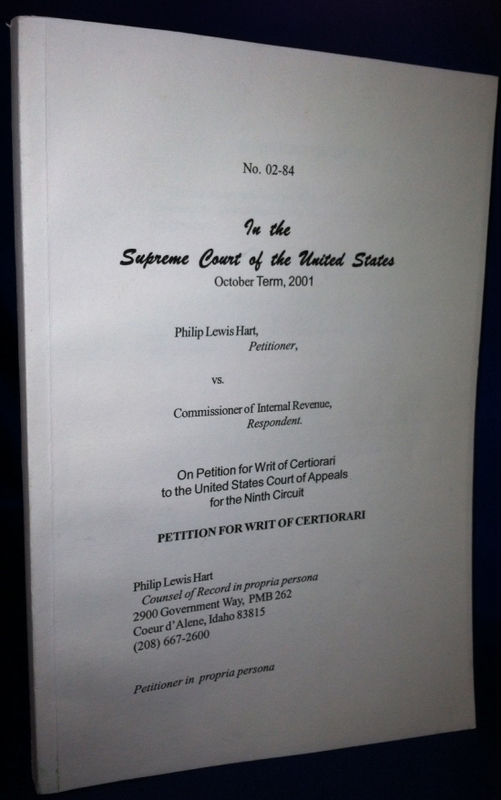 This full-length film features Phil Hart relating the content of his extensive research and persuasive arguments concerning the constitutionality of the income tax. This must-see film includes clips of Phil Hart on sight at various locations pertinent to the taxation debate. This is a film you will want to share! Receive both the full lenght DVD and the Data CD for a great value! 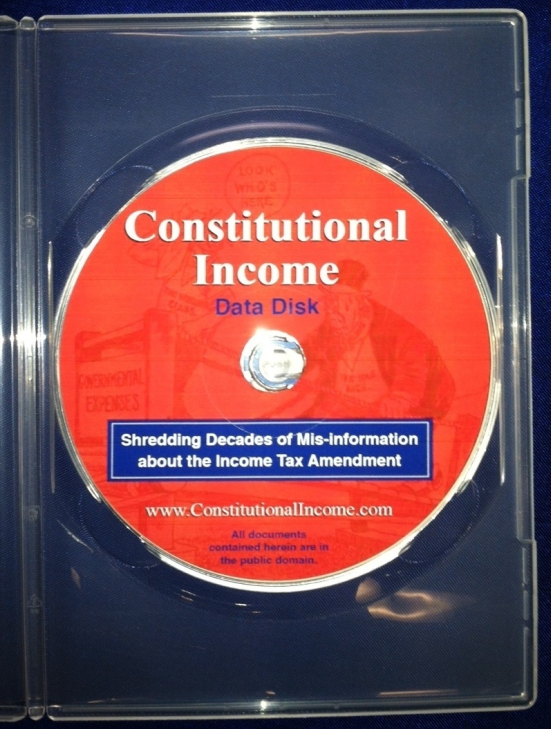 The Data CD, an accompaniment to the book and DVD, contains numerous historical documents, periodicals, and court cases relating to the taxation debate. Every legal authority referred to in the DVD presentation can be found on the data disk, that is the hard to find documents. Click below for the full content list. 1) For mail in orders print out and complete the printable order form. 2) Send cash, check or postal money order only with your order. Checks take a little longer to clear and to get the order out. 3) All book orders are shipped via UPS or U.S. Postal Service. To have items shipped by a specific method, please e-mail for more information and costs. 4) DOMESTIC ORDERS ONLY: Add shipping and handling per schedule on order form. For International Orders please e-mail for more information and costs. For Order Qty 1 - 4 Books, Order Now Using Paypal by adding items below to your shopping cart! Order Constitutional Income Book $20.00 (incl s/h)Read Phil's Petition to the Supreme Court, Docket #02-84 $35.00 (incl s/h)View Your Shopping Cart:To Obtain Discount Quantities Please Use The Order Form!